In May 2017, Palo Alto Networks Unit 42 identified a limited spear phishing campaign targeting various individuals across the world. The threat actor leveraged the CVE-2017-0199 Microsoft Word Office/WordPad Remote Code Execution Vulnerability with carefully crafted decoy content customized for each target recipient. Our research showed that the spear phishing emails came from multiple compromised email accounts tied to a legitimate domain in North East Asia. We believe that the threat actor hijacked an existing, legitimate in-progress conversation and posed as the legitimate senders to send malicious spear phishing emails to the recipients as shown below in Figure 1. Upon successful exploitation, the malicious document delivered two malware payloads PoohMilk and Freenki. In past activity that we believe is linked to this same threat actor, dissidents and others were also likely targeted. We named this campaign “FreeMilk” after the words found in the malwares’ PDB path string. The threat actor leveraged Microsoft Word CVE-2017-0199 vulnerability which is popularly used in both targeted and non-targeted attacks at present. The malicious document sends out the following beacon to a compromised website server as shown in Figure 2. Our analysis shows that PoohMilk is the first stage loader. After a successful exploitation, it sets persistence in the registry with the appropriate command line argument to execute the second stage payload, in this case, Freenki. The following registry key-value pair in Figure 4 is used. Where the ‘%d’ is taken from the return value of a call to the Windows API GetTickCount(). It then continues to execute this file with the Windows API ShellExecuteW(). The following PDB paths in Figure 5 were found from PoohMilk loader samples. It was observed that the threat actor consistently delivers different malware payloads together with PoohMilk loader. We assume this is an attempt to lower the chance of payload malware getting exposed to the security research community as it can hide its malicious behaviour when being analysed by automated analysis systems without the proper command line argument. Freenki has two main purposes. The first is to collect host information and the other is to serve as a second stage downloader. Each of these will be explained in detail in the following section. help: This argument allows the malware to execute its main function which beacons to its C2. Further details in the next section. sample: This argument allows the malware to set up persistence and communicate with its C2. Synonymously as if we were to call the malware with the argument console followed by help. The first thing Freenki does is collect the host’s MAC address. This is converted to a hex-string and is appended to each request to its C2. This value is likely to be used as an ID to identify the victim to the attacker. It is important to note that each request is postfix with an additional identifier followed by the MAC address. The following IDs are used and all request are made with a HTTP POST method, and between each beacon the malware sleeps for 25 seconds. 0x30 = Initial communication made to the C2. The malware loops over sending this initial request until the C2 responds with a HTTP OK (200) status with additional data. 0x31 = This identifier is used to send host information. Below are the details collected. 0x34 = This identifier is used when the malware attempts to take a screenshot of the victim computer. The malware only collects a total of three screenshot before moving on. 0x32 = This identifier is used to retrieve a secondary C2 server. The data is received encoded and then parsed to get the new C2 address. More on this in the secondary payload delivery section. 0x33 = The malware sends this identifier prior to parsing the decoded secondary C2. 0x35 = This identifier is used after it executes the secondary payload. The malware sends back the secondary C2 used to download the payload. The malware uses the same algorithm to decode and encode most of its data. The initial C2 and hard coded User-Agent string are encoded and can be decoded using the code snippet in Figure 7. It is not a new method, but is worth noting that Freenki uses SSE instructions to decode its data. We mentioned that one of the identifiers the malware uses gives it the capability to retrieve a secondary C2 address. A somewhat important note is the author uses the Windows API InternetOpenUrl(), therefore the secondary C2 address comes appended with either HTTP, HTTPS or FTP. Using the secondary C2 address the malware attempts to download another payload. This payload is expected to be greater than 100 bytes and to begin with the ASCII values: ‘PNGF’. This secondary payload has two encoding layers. One is solely used in this part of the code and the second is the same encoding discussed previously which is used throughout the malware’s code. Once decoded, the malware writes the secondary payload to the users %temp% folder with a pseudo-random name. 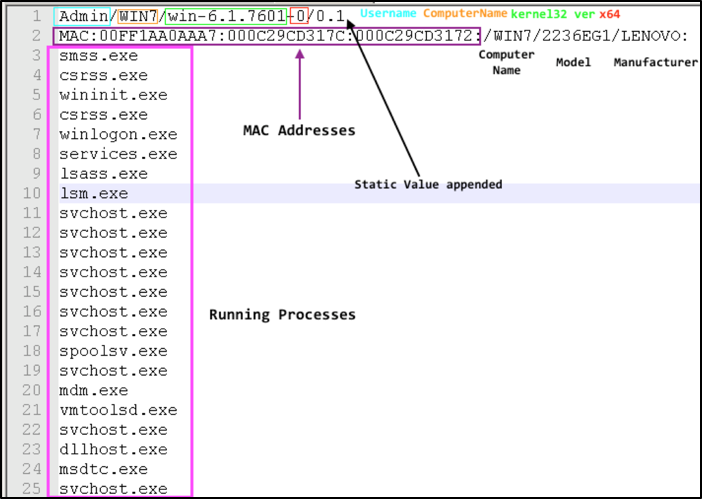 Then using the Windows API ShellExecuteW() and a hard-coded argument ‘abai’, the malware executes the decoded payload (Figure 8). In multiple occasions, we observed the PoohMilk loader discussed in this blog being used to load another remote administration tool we call N1stAgent (Figure 9, detailed analysis available in Appendix B). N1stAgent is not widely used and appears to be solely used in targeted attacks. It is well known for its first appearance made in the phishing campaign in January 2016. N1stAgent was delivered via phishing emails disguised as Hancom’s security patch. In August 2016, visitors to an anti-government media website operated by defectors in United Kingdom were targeted by watering hole attack with CVE-2016-0189 Microsoft Internet Explorer exploit. The exploit code attempted to deliver Freenki (Figure 10) as payload malware. The FreeMilk spear phishing campaign is still ongoing, and is a campaign with a limited but wide range of targets in different regions. 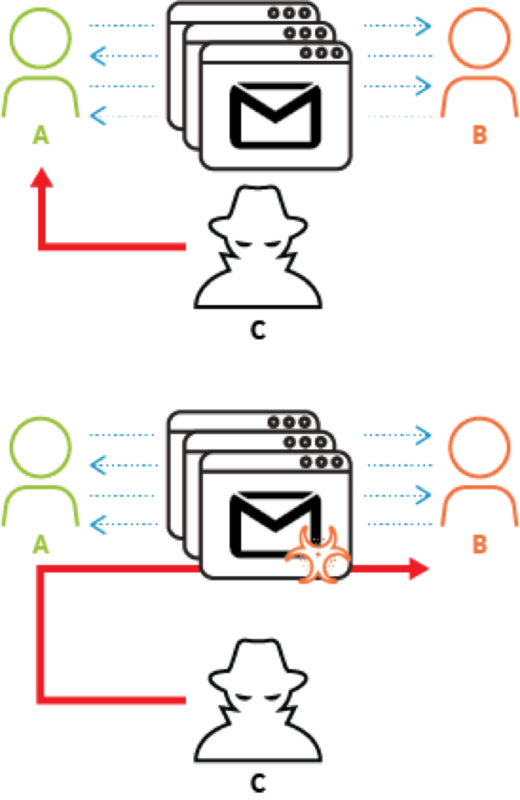 The threat actor tried to stay under the radar by making malware that only executes when a proper argument is given, hijacked an existing email conversation and carefully crafted each decoy document based on the hijacked conversation to make it look more legitimate. We were not able to identify the second stage malware delivered via Freenki downloader during the campaign. We did notice some C2 infrastructure overlap with other cases previously mentioned by TALOS and a private researcher. However, we are not conclusive about these connections as the C2 domains were compromised websites and there were several months between the incidents. WildFire and Traps properly classify the samples described in this report as malicious. – Description: Provides support for the ICMP over TCP/IP service and ARP name resolution for clients on the network, therefore enabling users to Network, print, and log on to the network. If this service is stopped, these functions might be unavailable. If this service is disabled, any services that explicitly depend on it will fail to start. If the connection does not work or if the server is down it will try to connect to another predefined IP address which is also stored encrypted in the binary. It will connect to the server, send its network adapter address and wait for commands from the server. If the server responds back with the command ID 19899003 then it will contain a new IP address where the agent should connect to and then the agent will finally reveal its backdoor functionality. The backdoor functionality supports basically 3 functions. First feature is remote shell (command “sm”) which emulates cmd.exe on the remote host. This feature is interesting because the code is copy pasted from Wine command program source code. The second feature is the file manager (command “fm”) which supports the basic file features like list-, move-, delete-, set date time-, upload- and download files. The third feature (command “gm”) is a function which lets the remote attacker change the configuration. For example, he can create the configuration files in %APPDATA% directory which contain additional IP addresses where the malware should connect to in future.